Sleep apnea is a prevalent problem in our society affecting an estimated 18 million Americans or 1 in every 15 people. It is seeing more attention in the news these days because of the tragic train accidents where the drivers fall asleep due to poor sleep at night from having this breathing disorder. It is estimated that someone suffering from sleep apnea is 6 times more likely to die in a car accident. You are also 4 times more likely to suffer a stroke and 3 times more likely to have heart disease if you go untreated. Your partner also suffers by losing up to an hour of sleep a night due to the snoring and lapses in breathing you are making. 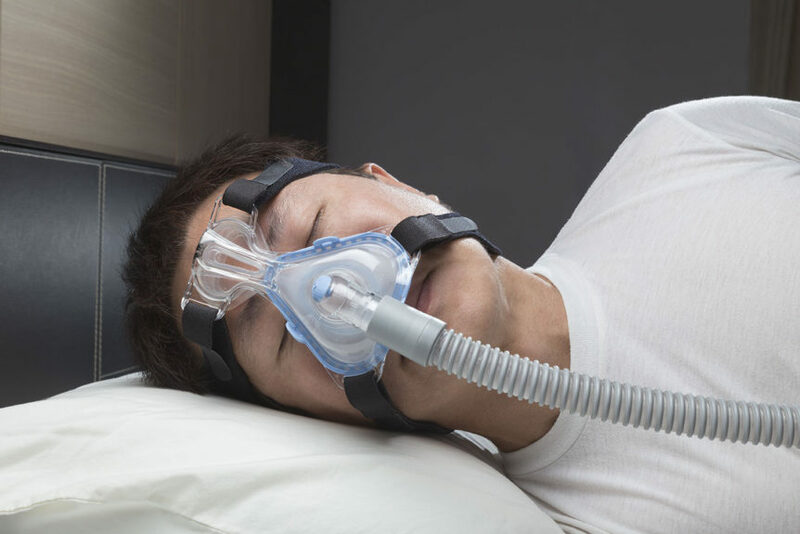 The common treatment for sleep apnea is using a CPAP machine but compliance can be low because of discomfort with the nasal apparatus. Physical Therapy as an adjunct to treatment is growing in popularity because of the effects we can have on the face, jaw and airways. The cranium and face is made up of 28 bones fit together like a jigsaw puzzle through joints known as sutures. Through manual techniques, we can mobilize the bones to improve the symmetry of the face and open the airways. It is possible to fix a deviated septum without surgery and open up the nasal passages. We open the nasal passages even further by decompressing the cheekbones, known as the zygomatic arch, off the nasal bone allowing for further expansion. We don’t just treat the face to open up the nose, we also go into your mouth and work to open up the hard palate to allow for more room in your sinuses. Patients will often feel draining of their sinuses and improved breath after the treatment of the facial sutures. Dentists have been successful in treating patients with sleep apnea by fitting them for devices to sleep with at night that stop the lower jaw from dropping back which shuts down the airway. I have had the great opportunity to work with Dr. Michael Gelb in New York who is leading the field in dental apparatuses to improve numerous sleep disorders by assessing and addressing the position of the jaw. I was able to work with his patients to help improve the alignment of the temporomandibular joint for more on axis motion of the jaw. We also found great success with addressing restrictions and dysfunctions in the soft palate and sphenoid bone to aid in better jaw alignment. When treating sleep apnea, the best approach is a multidisciplinary approach. Another impactful area we treat is the neck. The trachea, or windpipe, sits in front of the cervical spine. If there are alignment problems, it can impact the size of the airway. We assess and treat for any dysfunctions in the spine and surrounding tissues of the trachea to ensure it is as open as possible. Pillow placement and type is also important to educate the patients on. The neck might be aligned properly but if the pillow is causing tension or forcing the neck into a certain position then it can affect the size of the airway. Sleep posture education is as important as looking at the alignment and function of the joints and tissues. Sleep apnea is a dangerous condition that many people don’t get treated for. The impact on their health is more than just a bad night’s sleep. A multidiscipline approach to treatment can be an effective way at stopping the progression of the health problems associated with sleep apnea.